In episode three of “New Hue, New You,” —a YouTube video series that revolves around Redken Artists providing makeovers to lucky Redken clients to build confidence and positively change their lives—we meet Harper. Being a new mom, Harper often finds herself putting herself last and is looking to shake things up with her haircolor. You just landed your dream job. You’re moving to a new city. You just started dating someone very special. When a big change is happening in your life, a makeover can help you feel more confident about handling what lies ahead. Because when you look good, you can’t help but feel good—and there’s nothing like a trendy haircut, a new haircolor, or some strategically placed balayage to make you feel like a better version of yourself. That’s where Redken comes in! “There are many challenges to being a new mom. It’s hard to find time for myself. There just aren’t enough hours in the day!” As a new mom to an energetic and adorable 1 ½ year old, she admits she hasn’t been to the salon in quite some time. “The last time I got my hair done was probably pre-baby, 2 or 3 years ago." Ready for her makeover, Harper is under the care of Redken Artist Justin Isaac. To create a modern look and make Harper’s eye color pop, Justin uses Redken’s New Color Fusion Cool Fashion shades to transform her black haircolor. 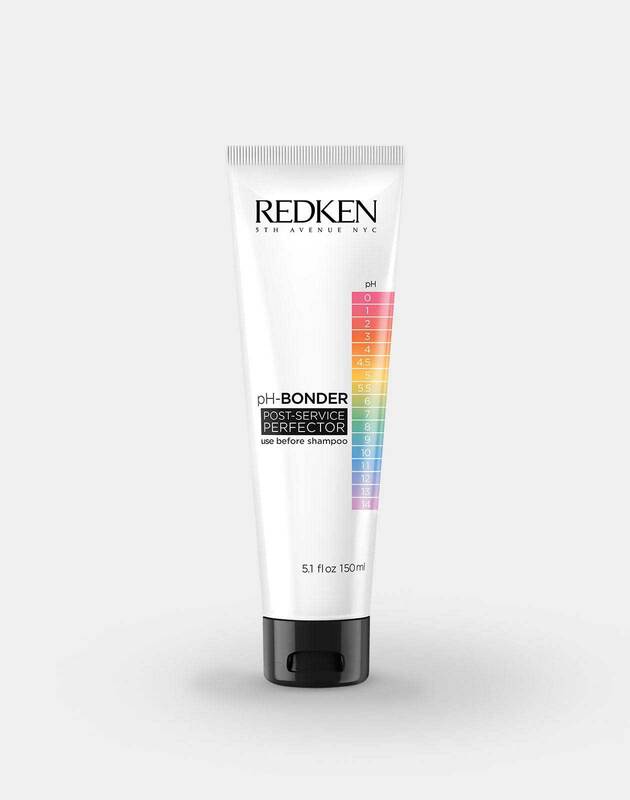 To preserve and protect the integrity of her hair during the lightening process, he adds pH-Bonder. The result? A bright & dimensional haircolor with soft balayage on black hair that is low maintenance and perfect for Harper’s busy lifestyle! Ready to take a risk and give yourself a haircolor transformation like Harper did? Check out Salon Finder to locate your nearest Redken salon to schedule an appointment. Coloring your hair can be intimidating, which is why it’s always a safer bet to leave it to the professionals—and it doesn’t have to be time consuming. As Justin mentions in the video, you can make a bold new statement without a huge time commitment! If you enjoyed watching Harper's transformation, show some love by liking the video, and don’t forget to subscribe to the Redken YouTube channel to catch even more episodes from the New Hue, New You series!